The Catholic Church was founded in 33 AD! With Saint Peter as first Pope. Many years of Virgin Mary devotions and the communion of saints and martyrs. Witness your faith and dedication to the Holy Mass, Rosary Prayer, and Jesus in the Blessed Sacrament, Eucharist Host. 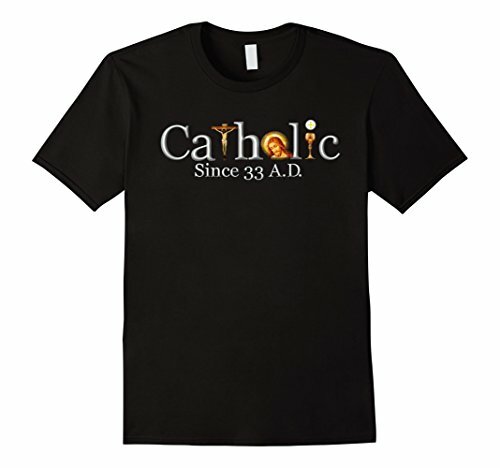 If you have any questions about this product by Catholic Church T-Shirt, contact us by completing and submitting the form below. If you are looking for a specif part number, please include it with your message.